If So, Your Privacy Rights May Have Been Violated. Most of us don’t think twice when we get a catalog in the mail. 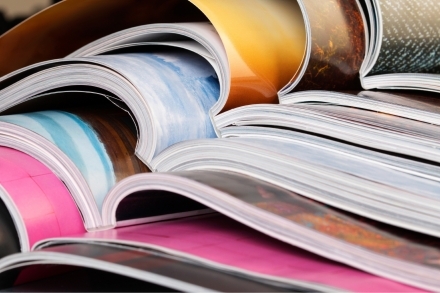 We may flip through the glossy pages or simply throw it away. Some of us may grumble about how much space it takes up in our mailboxes, not unlike Kramer in the hit ‘90s sitcom Seinfeld (view clip here), or the impact such practices have on the environment (Restoration Hardware infamously mailed a 17-pound, 3,330 page catalog to millions of people who had never asked for it). But few of us stop to think about why we get catalogs in the first place. The answer may lie in deceptive practices by retailers to collect your personal information. In most cases retailers don’t send out catalogs at random. They create mailing lists based on previous customer transactions. When you make a purchase at a brick-and- mortar store, some retailers request your personal information—often your ZIP code or telephone number—and combine that data with information from your credit card to obtain your mailing address. The process is called “reverse-appending” and has been around a long time in the retail industry. But in California and many other states this practice is illegal. That’s because merchants cannot request or record your personal information during most credit card transaction. A long-standing consumer privacy law called the Song-Beverly Act forbids it. But that hasn’t stopped retailers from continuing the practice in hopes of attracting customers. The New York Times reports that about 90 million Americans make purchases from catalogs, according to the Direct Marketing Association and that consumers who receive catalogs spend an average of $850 annually on catalog purchases, according to the American Catalog Mailers Association. (See Rebecca Ruiz, “Catalogs, After Years of Decline, Are Revamped for Changing Times,” Jan. 25, 2015.) Many retailers also make money from selling your personal information to other retailers or marketing companies. Ever wonder why you received a catalog in the mail from a company you’ve never heard of? That’s the reason. Once in the clutches of a large corporation, this information is vulnerable to disclosure and misuse. Target, Michaels, Home Depot, PF Chang’s, Neiman Marcus—these are just a few businesses that have been faced with data breaches in recent years. Literally hundreds of businesses have reported data breaches to state authorities, and the number of unreported breaches is likely quite sizeable. By collecting and storing your private information, these businesses are putting you at risk of identity theft. Your bank account could even be in jeopardy, and all for what? Because you bought a product from a company that took advantage of your business to rack up their profits? The home décor store Rejuvenation (view website here) has recently jumped on this bandwagon. At checkout, cashiers collect a host of personal information on customers and store it in company databases. Not long after your transaction, you may receive a catalog. If you’ve received a catalog in the mail from Rejuvenation, there’s a good chance you unwittingly provided your sensitive information. Fortunately, you are not without recourse. In fact, California law entitles you to civil penalties of up to $250 for this invasion of your privacy or up to $1,000 for subsequent offenses. And for bringing a class action, a court could also award you an incentive payment, which is generally between $2,000 and $5,000.